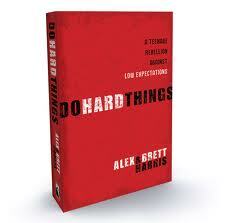 I recently read the book Do Hard Things by Alex and Brett Harris. It was very motivating and made me re-evaluate my mindset and the activities that I was focusing on. Do Hard Things challenges teens across the globe to rise above what is considered the norm in today’s world. It shows how the teenage years are the “launching pad” for the rest of your life and gives ideas on how to start. Do Hard Things also shares examples and stories of other “revolutionary” teenagers who are trying to make a difference in their world and impacting others for Jesus. Overall Do Hard Things was well written, fun, humorous, and very thought-provoking. I would recommend it to anyone as a book that will challenge them to be what God made them to be. This spring we decided to plant a garden. We have had a few experiences row gardening, but this year chose to plant a square foot garden. A couple of our friends and bloggers online had recommended it and said that square foot gardening was much easier than the traditional row garden. In this article I will outline what square foot gardening is, where and when it started, and include a quick course on how we built and planted it. 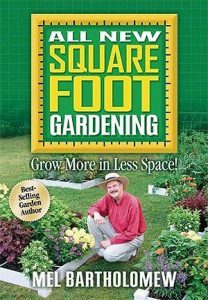 Square foot gardening was started by an older man named Mel Bartholomew, a former consulting engineering business owner who took up gardening as a hobby after retirement. After a failed community garden attempt, he started to question the methods of row gardening. While talking with multiple gardening experts he realized the gardening methods taught were very inefficient and a lot of work. So, after studying and experimenting, Mr. Bartholomew took the idea of flowerpot gardening and thought about planting vegetables in boxes above ground. He experimented with different sizes, materials, etc. and came up with a very neat gardening system….